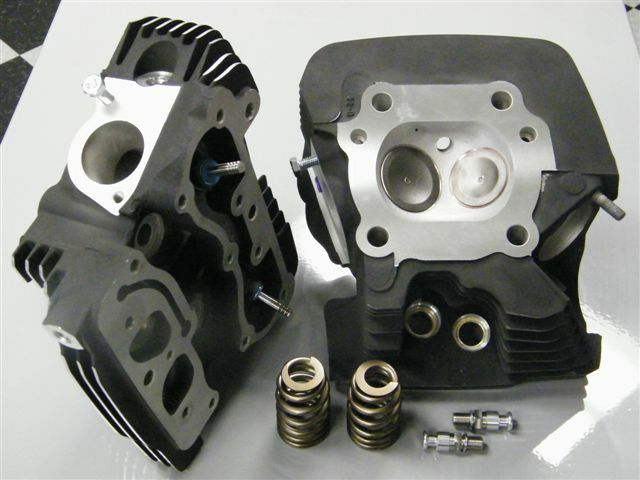 Our high performance cylinder heads are available for purchase outright, exchange, or we can modify your castings. Exchange heads must be in acceptable cosmetic condition. Expect the same from us. Previously modified heads are not eligible for exchange. 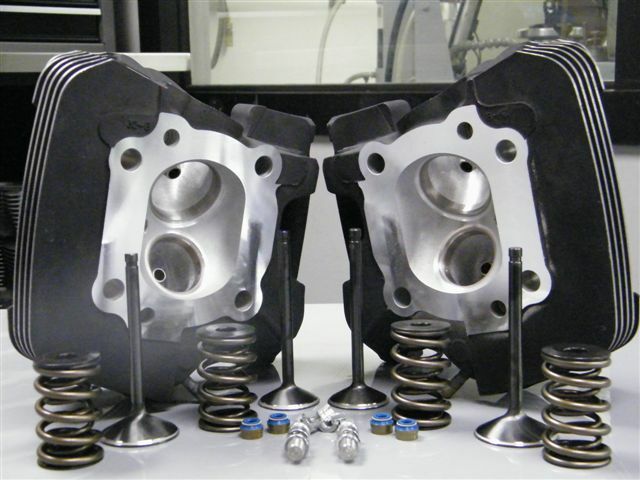 This head was purpose built for our Big-Bore engine kits! 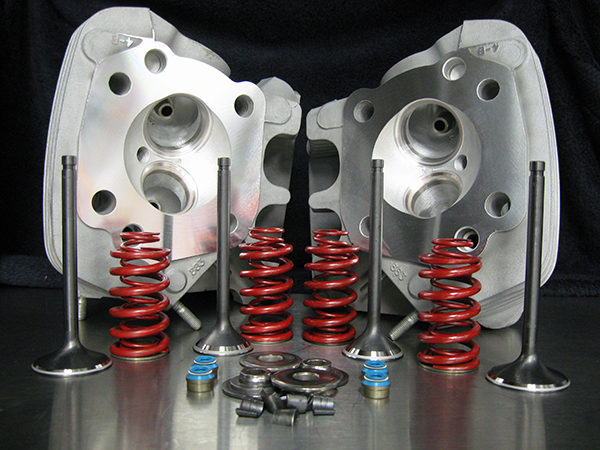 Similar work is performed on Evo & Sportster heads as well. If big torque is what you want these heads are for you! After complete CNC reworking of both intake & exhaust ports new valve guides are installed & sized. Next, the valve seats are machined with our proprietary seat angles on Rottler equipment to accept 1.900/1.615 hi-flo valves. All gasket surfaces are trued, Viton valve seals installed & new performance springs are packed for .600 lift. (Your choice of std. or beehive/Optional higher lift available upon request) 249cfm Intake / 203cfm Exhaust, 28″ at .600 lift, SuperFlow 450 flow bench. 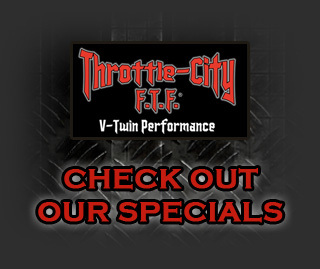 Designed for 95″ & up heavily modified engines! This head was purpose built for our Stg-1 1200 conversion! Manufactured from 303 stainless steel with billet aluminum cap for a custom appearance. 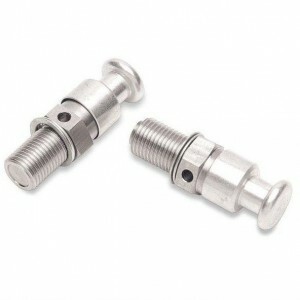 Requires a 10mm x 1.0mm threaded hole for installation. Sold in pairs, made in the USA.